Rain Recording, a company that sells Windows-based computer systems for audio production, has introduced a new mobile audio workstation – the LiveBook Zephyr. While Apple MacBooks have become the first choice of many audio producers, the LiveBook Zephyr looks like a great alternative for those that prefer Windows or have to work on Windows. The Zephyr is an ultra-portable notebook designed with laptop musicians and mobile audio production in mind. At 4.3 pounds, Zephyr is the lightest and smallest LiveBook ever. 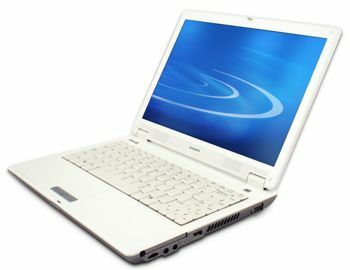 The Livebook Zephyr is priced starting at $1,500. Also now available is the RainPAK counterpart to LiveBook Zephyr called ZPAK. ZPAK is a complete songwriter digital tool-kit including LiveBook Zephyr, the Tascam US122L audio interface, a Tascam LD-74 microphone and even a mic cable and desktop mic stand. ZPAK also includes copies of Cubase LE and Gigastudio 3 LE, the light versions of two industry-standard audio production software titles for recording, editing and mixing digital audio, loops and samples. ZPAK, the first RainPAK (Professional Audio Kit) is designed to give the modern, budget-minded songwriter everything he or she needs to make high-quality recordings, demos and sketches at home or on the road. ZPAK is completely set up for plug & play when it arrives with drivers installed, cables included and every component tested and optimized for performance including a copy of Windows XP specially tuned for audio production. “ZPAK with LiveBook Zephyr is very much a Rain product in that it provides a complete solution for a specific purpose”, says Rain President Bill Paschick. “Our mission is to provide transparent technology so our customers can get right down to the job of creating – which is why they got a Rain computer in the first place. When you have a great idea for a song, the last thing you want to do is sit on the phone with tech-support”. The RainPAK program is designed to provide a complete solution, tested and certified for optimum performance, for a specific purpose like songwriting, DJ’ing or mobile recording. Rain is in the business of making it easy for creative people to harness technology. Other RainPAK products including MixPAK, StudioPAK and GuitarPAK are scheduled for release in early 2008.